Canadian winters can really do a number on your home. Fluctuating temperatures, heavy snow and rainfall, salt usage, etc. 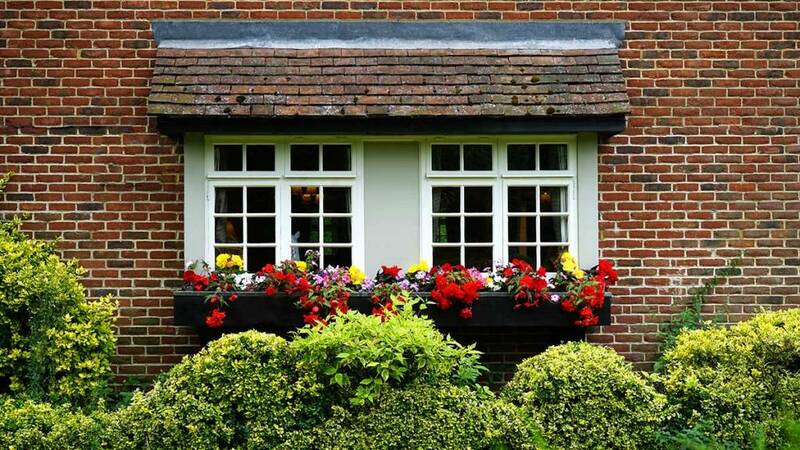 all put wear and tear on the interior and exterior of the home which makes spring maintenance necessary for preserving the value of your home. So as the weather warms and you emerge from hibernation, make sure your home has withstood the winter and catch any minor issues before they become bigger issues by next winter. Here’s your spring maintenance checklist! Some years it seems we jump from a frigid 15 below to a balmy 30 above within a week. The last thing you want when it’s mid-July and the temperatures are peaking is for your air conditioner to die out. Check the connections as well as the filter, keep the coils clean and have it serviced before the heat wave hits. What are the big things you’re looking for? Leaks, cracks, and critters. When you’ve made it up to the attic, check that there aren’t any leaks, that insulation is still intact and be sure there are no signs of water damage or mold. With the significant amount of rain and water we experience along with the ice cold temperatures, ensure that cracks have not developed in the cement walls of the basement. Give the sump pump, washing machine hoses, and basement windows a look over while you’re doing your rounds. And, for good measure just be certain that no furry friends have moved in in either the basement or attic. 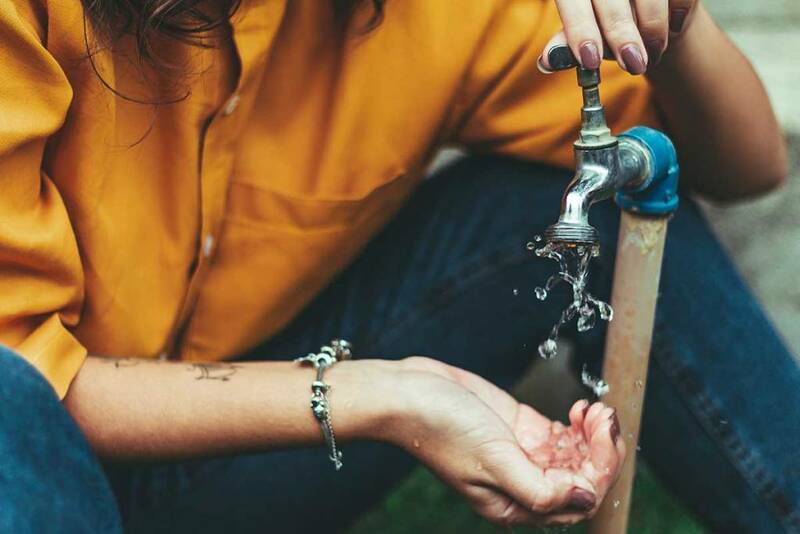 While your giving your home the once-over, you might as well make these routine tests a part of the regime! 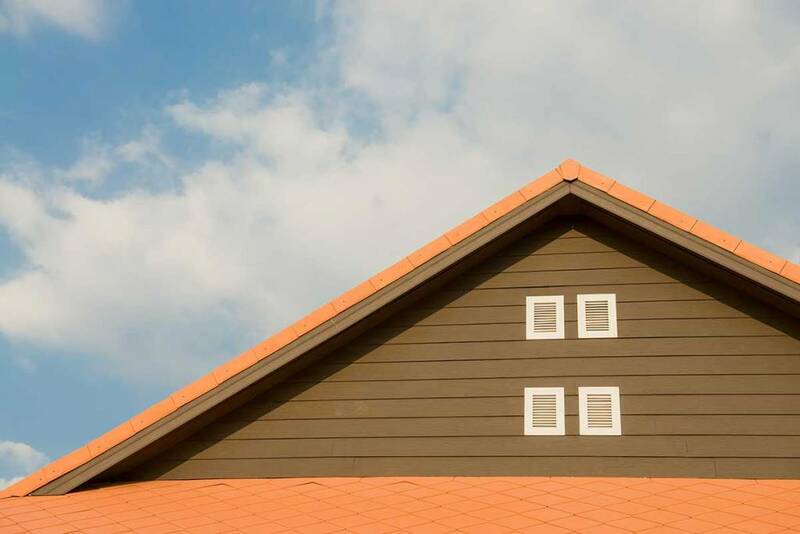 You may have lost or had shingles damaged over the course of the winter, but loose, cracked and buckled shingles are all signs of needing a replacement. Shingles with missing asphalt granules and granules found in the eaves trough are also indicators that your roof is in need of maintenance. Cold temperatures can lead to hardening and cracking of caulk creating gaps. To avoid a draft, water damage or a place for critters to crawl in, replace the seal around the exterior of windows and doors as needed. From the falling leaves in autumn to the ice build up in winter, you will need to give your gutters a good clean out. To avoid water damage, unclog the gutters and downspouts to ensure that water is being drawn away from your home. You want to test your outside faucets for any freeze damage such as dry rot or damage to the pipe. Put your finger over the opening and turn the water on. If you can stop the flow of water you have a problem and should check the pipe inside your home. Walk around the perimeter of your home and look for cracks in the foundation and damage to siding and brick. Water issues in your basement are usually caused by cracks in the foundation. If you see an issue contact a foundation specialist before all the spring rain hits and your house floats away (just kidding). Fill any cracks in walkways and patios with concrete filler or silicone caulk. Then, when the weather warms, power wash and reseal the concrete. Inclement weather may cause movement in concrete so always make sure your patio, walkways, etc. are sloping away from your home to avoid flooding around the foundation. 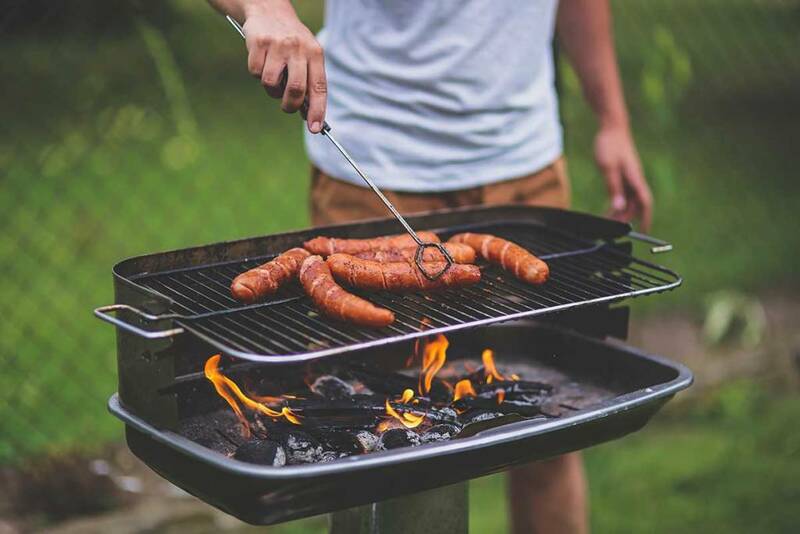 Chances are you haven’t used your barbeque in a while (unless you don’t mind grilling in 3 feet of snow), turn your barbeque on along with any exterior lights just to make sure all is in working order before barbeque and pool party season is upon us. It’s normal for your deck to heave in the winter when the ground freezes. Once the ground thaws the deck will naturally retreat to it’s normal levelled position. But you’re definitely going to want to check the deck and the fence for structural damage. 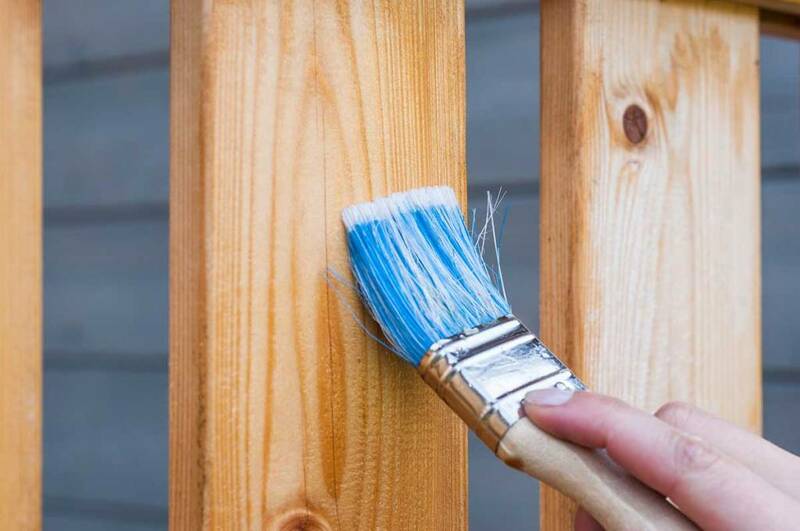 The spring is also a good time to sand and stain your deck and repaint your fence before the heat of the summer rolls in. It’s so exciting to know that spring is on it’s way but it sure does come with a lot of maintenance. However, keeping on top of things inside and outside the home preserves the value of your home and allows you to fully enjoy it once the warm weather arrives. These tasks sure seem like a lot of work but take the opportunity to enjoy being outside in the sun and warmer temperatures! Do you have any home maintenance tips? Let us know!